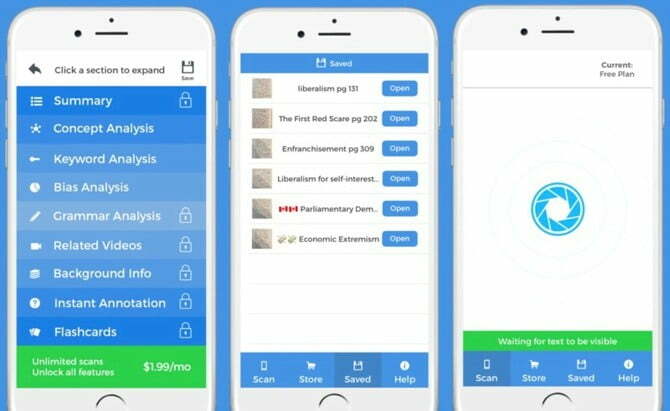 Content summarization app Summize has released version 2.0 of its smartphone application, which brings along with it a host of new features and tools for condensing textbook content and news articles. Founded by 18-year-old Rami Ghanem, Summize got off to an incredible start when it was released two months ago, topping the App Store charts in numerous countries. The success came at a cost. Summize didn’t anticipate just how popular its textbook-parsing technology would become. As a result, its servers became overwhelmed and caused issues for many of its new users. Immediately, Summize was pulled from the iOS App Store while its developers worked on beefing up the servers. It only took two days to get everything running smooth for its previous users, but rather than immediately putting Summize back up in the app store, the developers decided to use the break to improve the app from top to bottom. Now, a month-and-a-half after being pulled from the App Store, Summize is back with a big 2.0 following its name. Along with the update comes a new payment model, a completely redesigned interface, and five new features to further help users read through their summarized content. Like its predecessor, Summize 2.0 works by letting users snap a photo of their textbook or news article and instantly receive a summary of the content. It’s effectively an app that can give you a Tl;dr version of your real-life reading material. And it only gets smarter the more it’s used, thanks to a self-teaching A.I. New in version 2.0 are a few additional features to further help users study and absorb the information in a more easily digestible manner. Specifically, Summize 2.0 includes a new grammar analysis tool that will run through the text of an essay and provide corrections, a new instant annotation tool for adding links and more to the summarized content, and even a flashcard tool for creating effortless flash cards. One of the more welcomed additions to the update is a “save” feature. This will let users save their summaries for later viewing. Until now, any summaries were lost at the end of the session. As for pricing, Summize 2.0 dropped its one-time cost and adopt a freemium model. New users will be given five scans for free. Once those allocations are used up, users are can pay $2 per month or $14 per year for unlimited summaries. If users purchased the app for $1 when it originally went on sale as version 1.0 or 1.1, they’ll automatically be credited with a lifetime subscription in the 2.0 update. Future plans for the Summize team includes expanding into different educational fields, such as history and chemistry. Head on over to the iOS App Store to download Summize 2.0. If you’re the type of student this writer was in college, this will likely save you a few tenths on your GPA.